Mary Ellen Alexander, RN, MN has served as Coordinator of the Cleft and Craniofacial Team at the Children’s Hospital of New Orleans (CHNOLA) for over 20 years. In her role with the Cleft and Craniofacial Team, she functions as a Clinical Nurse Specialist, working both in-hospital and on an outpatient basis to ensure that new parents have ready access to the resources they need. She provides newborn outreach and feeding instruction, pre and post-op education, patient and parent education, coordinates team care and treatment planning, and oversees communication with team members. 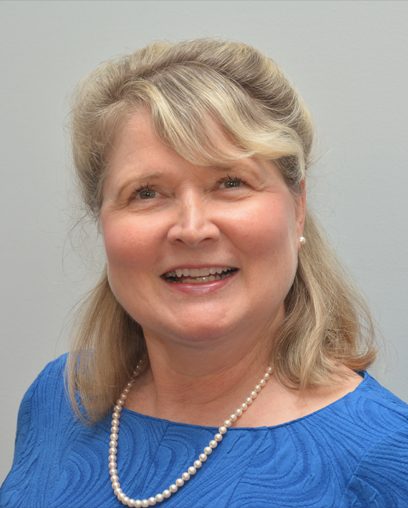 Mary Ellen has been a member of the American Cleft Palate-Craniofacial Association since 1994, attending its annual meetings as part of her life’s work of providing state of the art personalized treatment for children in New Orleans and throughout Louisiana and the Gulf Coast. Thereafter, she served as a Staff Nurse in the Pediatric Intensive Care Unit at Rainbow Babies and Children’s Hospital at University of Hospitals of Cleveland, Ohio. Mary Ellen continued her career in pediatric care as Head Nurse at the Oschner Hospital Pediatric Unit. After receiving her Masters of Nursing from the School of Nursing at Louisiana State University Health Science Center in 1985, she moved to Children’s Hospital, serving first as Pulmonary Nurse Coordinator, managing acute care for patients with respiratory and airway problems. She has been Coordinator of the Cleft and Craniofacial Team at CHNOLA since 1994. Mary Ellen has become the first call for literally thousands of families of children with congenital and acquired craniofacial differences, for whom her calm, caring demeanor provided (and continues to provide) comfort and direction at a time of greatest need. In addition to her work on behalf of the American Cleft-Craniofacial Association, Mary Ellen serves on the Leadership Awards Committee of the Cleft Palate Foundation. She sits on the Ethics Committee of the Children’s Hospital of New Orleans. She also coordinates CHNOLA’s participation in the Krewe of Little Rascals Mardi Gras “kids only” parade, a 501(c)3 nonprofit organization promoting leadership and self-esteem in children with physical and other challenges. Mary Ellen lives with her husband and dog in New Orleans. She has two grown children of her own, in addition to thousands of children and young adults who have depended on her from the first days of life and through their formative years. "I often get to meet our patients within the first few days of life and will be there every step of the way until care is complete. It is so rewarding to work with these young families and to follow our patients as they grow to become young adults."